Designed for both glamour and comfort, these diamante flip flops are ideal for beach honeymoon getaways. 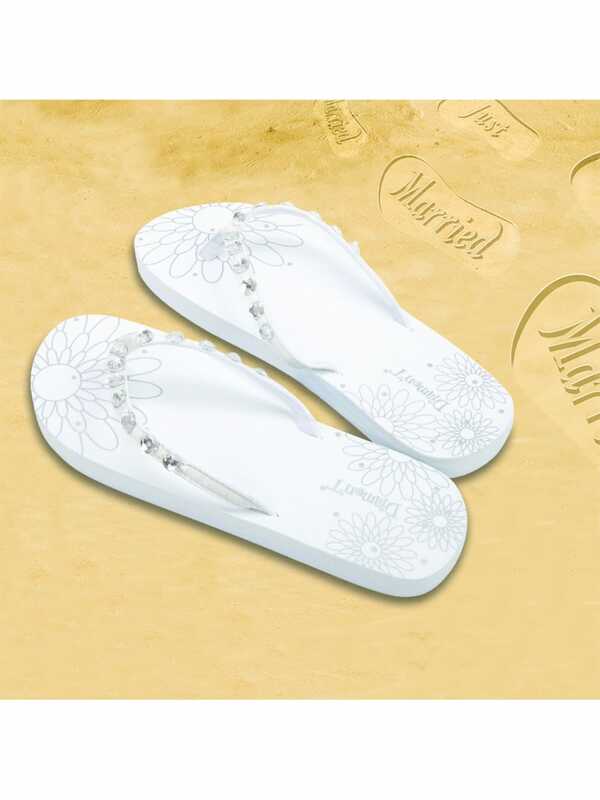 With 'Just Married' inscribed in the soles, these flip flops offer functionality enriched with style – the ideal gift for a bride looking forward to a beach getaway. Leave iconic 'Just Married' footprints in the sand – don't forget to take a romantic photo.